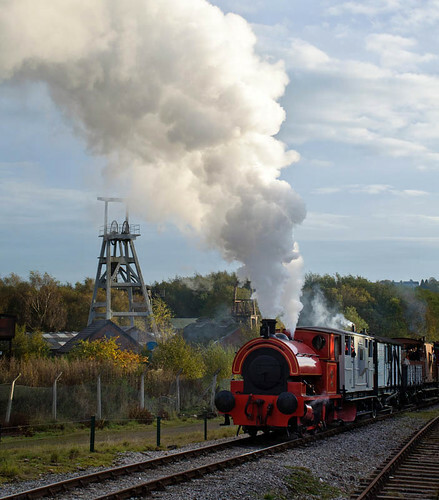 At the end of the day, Bagnall 2842 lifts its train away from Foxfield colliery and heads for home. It was half an hour late leaving; the sunshine was by now intermittent. Would we have had full sun if it had left on time? Last train, a photo by geoffspages on Flickr.